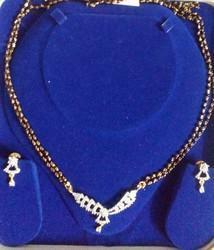 Pioneers in the industry, we offer Simple Mangalsutra Set, Stylish Mangalsutra Set and Designer Mangalsutra from India. 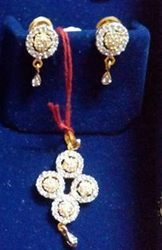 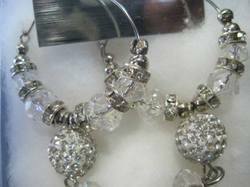 Pioneers in the industry, we offer Rounder Pendant Set, White Designer Pendant Set, Short Designer Pendant Set, Stylish Pendant Set and Long Designer Pendant Set from India. 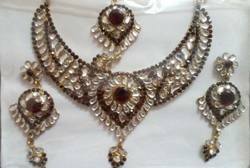 We are a leading Service Provider of Ethnic Gold Tone Necklace Set, Blue Color Diamonds And Kundan Necklace Set, Multi Color Diamond Necklace Set, Contemporary Necklace Set and Crystal Diamond Necklace Set from Ahmedabad, India.